(NC) Did you know that floods are among the most frequent and costly natural disasters in Canada? Whether it’s a spring thaw or summer flash flood, there are lots of things you can do to make sure your property is ready for excess water. Safeguard your roof. Check that your roof and eavestroughs are draining properly in heavy rains. Make sure your downspouts extend at least 2 metres (6 feet) from your basement walls. Use a rain barrel to catch runoff from your roof. Raise your appliances. Raise large appliances in the basement above the potential water level. If an item can’t be raised, consider anchoring it and protecting it with a floodwall or shield. Secure your furnace, water heater and/or oil tank so they won’t tip over in a flood. Check your perimeter. Inspect sidewalks, patios, decks and driveways to make sure they haven’t settled over time and are causing water to drain toward your property. In the winter, be sure to clear snow away from the building’s foundation. If the ground is sloped one inch per foot near the building, moving snow just three to five feet from the building will help reduce problems. Seal your windows. 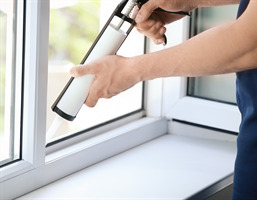 Use poly-urethane outdoor sealant around basement windows and the base of ground-level doors. Install flood shields or barriers for basement windows and doors – the tops should extend above ground level. Upgrade your yard. Consider planting a “rain garden” by using landscaping as a way to catch and disperse water in the soil near your property. Use native plants and vegetation that will resist soil erosion. Find more information at canada.ca/flood-ready.